That and the satisfaction of my inner fulfillment of materialistic consumerism that is..
Ok.. I really don't want anything at all this Christmas. With the new V series out, and my love for it since watching it as a kid, I want this. Yes... I want the vintage Visitor action figure!!! 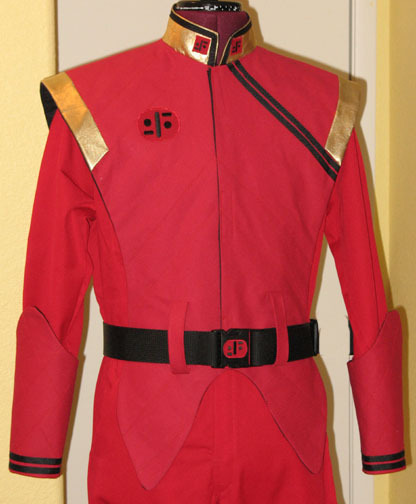 It's on ebay - so anyone yang rasa nak dapatkan aku hadiah tuk Christmas - this would be the PERFECT gift for me. The cheapest on ebay is about USD$10.50 while the more expensive is over USD$200! Why I want this? Because I love nostalgia, because I love the 80s, because I love V... you really need a reason? Tak payah yang mahal mahal.. beli yang murah pun ok dah. But check ek... make sure complete with the laser gun, jangan ada yang small bits not intact (matilah demand... macam la anyone out there going to get it for me). Kalao rasa budget besar sikit (and I mean running into hundreds of dollars - depending.. again check ebay) are these. Ok, so you're probably going like.. seriously? Yeap, I am pretty serious. 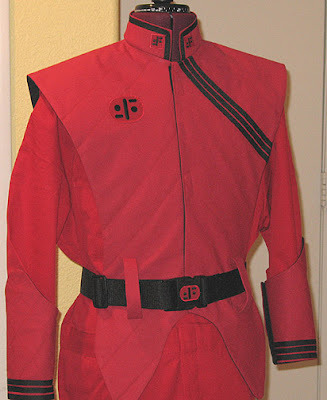 The uniforms on top are reproductions of the Visitor uniforms from the series in the 80s. The top one is (if I'm not mistaken) that of a commander rank (Diana pakai tiga belang). Yang dua belang tak silap aku is division head. And John, the supreme commander of a fleet, pakai lima belang tak silap aku. Yang second, below tu, is Martin's costume - which of course he was (again, if I'm not mistaken) security chief head. And the belang emas tuh, sebenarnya is basically the version of the uniform masa V : The Final Battle, which is the sequel to the original miniseries (yang atas skali from the original). So why would I want these? Sebab I'm a fan. There are few things I would DIE for - and stuff from 80s nya benda yang aku suka memang aku idamkan. Zaman dulu takde... skang da ada, susah nak mampu lak. Heh! Where would I wear them? Comic cons? Halloween? Who cares.. yang penting ada. Heh... sapa nak tempah tuk aku via ebay, tinggalkan comment mintak measurement aku ek. Matilah.. like anyone is going to spend hundreds of Ringgit to me me those uniforms. Takpe.. the Visitor action figure pun jadik la... quick.. sempat agik tuh dapat from US and post to me. Gosh... They actually have this now? Zaman kita dulu... merchandise was so pathetic! Guess it is more fun being a kid in this era!